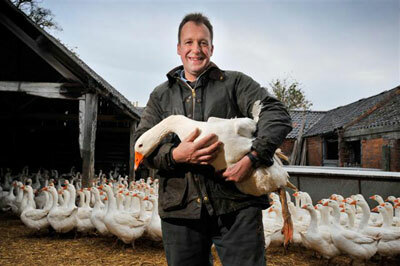 Home > Produce > The Christmas Table around the World – Will it be Turkey or Goose? The Christmas Table around the World – Will it be Turkey or Goose? With Christmas only weeks away it’s high time to make the appropriate preparations for the year’s most important lunch or Christmas Eve dinner, depending on where you live and local tradition. The notion of cooking a roast turkey can be daunting to many but really folks; it’s just bigger bird than a chicken. Those who enjoy cooking and entertaining at home, the Christmas turkey and accompaniments are a relatively straightforward, time-honoured menu yet a very rewarding experience. 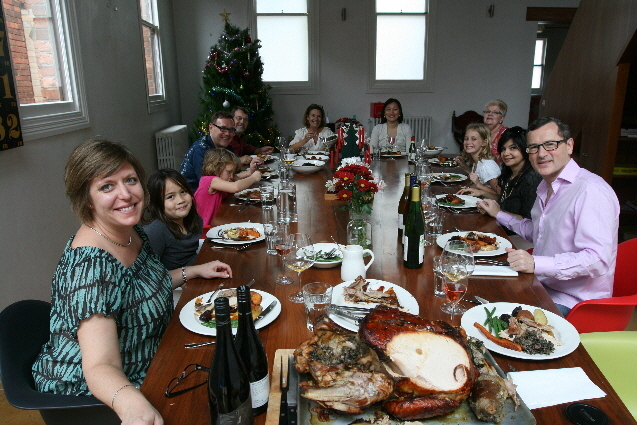 Having spent last Christmas in Melbourne (follow link for photos) the Wandering Palate is actually not wandering this Christmas and will be cooking at home in Singapore. The good news is I have found a Singapore source for arguably the best turkey on the planet, from the Bresse region in France. However, in my search for the perfect turkey, in correspondence with fellow wandering palates abroad, their response was rather surprising, in that two trusted gastronomically obsessed individuals both said turkey was no longer on the menu and goose was now the flavour. According to their family tastes, turkey is too bland and dry, to which I wonder if the provenance of the bird is the issue, as in my experience, a good free-range, organically reared turkey is very tasty indeed, and moist if of course you don’t overcook it. It does however highlight ones democratic choose of bird suitable to the occasion and in fact my gourmand colleagues have in fact stimulated my palate and curiosity on the notion of a roast goose – maybe I might do both! And with that in mind, I am now researching goose recipes as well as embarking on a comprehensive global list of free-range, organic turkey and goose suppliers – scroll down further for this. Dealing with turkey first: many people are totally intimidated with the very thought of cooking a turkey and everyone seems to have a horror story about their first attempt. Invariably it is due to the bird not being defrosted sufficiently, turning out golden brown on the outside and still raw on the inside! On the flip side, there is a lot of turkey that gets over-cooked and subsequently turns out very dry and chewy. On the bright side, Christmas guests are very forgiving with any imperfections lost in the joviality of the day and singing your praises forever for the effort. 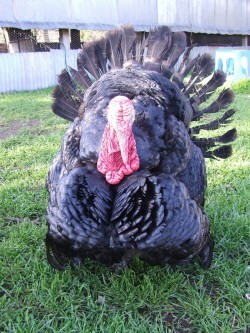 For the intimidated; folk’s, a turkey is just a bigger bird than a chicken and it’s all about planning and method. I am going to mention it several times, just to drive it home; you need to take a frozen bird (perish the thought) out of the freezer 3 days before and let it thaw slowly in the fridge, making sure to remove all wrappings and sitting on a wad of kitchen paper. That is of course assuming your turkey is frozen as it might well be if you live in certain parts of Asia. Actually, frozen turkey is commonplace the world over however nothing beats a freshly chilled, free range, organic turkey, should you be lucky enough to have access to such. When we lived in Hong Kong it was no problem sourcing a freshly chilled free range turkey from France and this remains such, having confirmed that Great Food Hall at Pacific Place www.greatfoodhall.com has available for pre-order, freshly chilled, free range Bresse turkey. 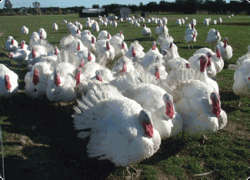 Of course there are many fine breeds of turkey all over the world and what you procure for the Christmas table will obviously depend on where you live and availability. I would however like to encourage people to avoid supermarket, frozen turkeys and go that extra mile to source a wholesome, free-range bird. 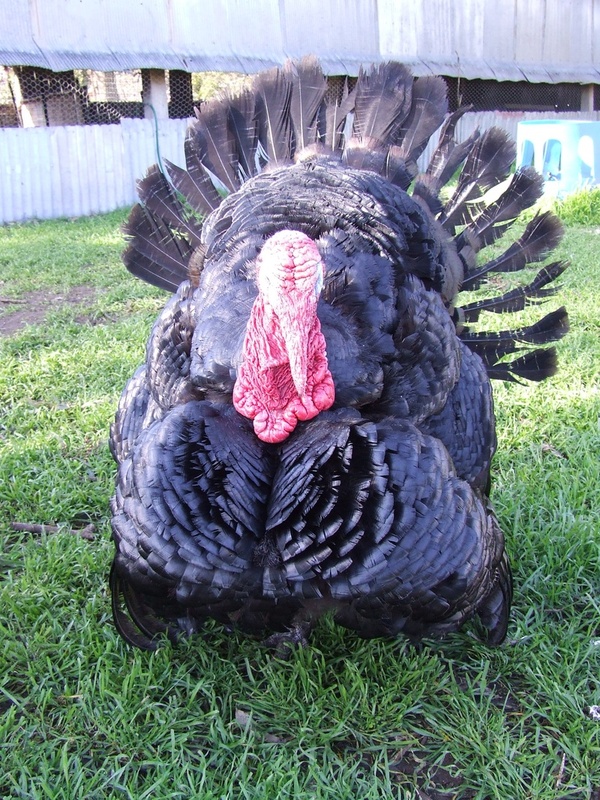 Furthermore, I would like this to be a forum for people to share where they source their turkey and any detail on the birds breeding line and pedigree, or the farm raising them, no matter where you live on this planet. So please, send your turkey info to curtisjohn@singnet.com.au which will be added to the compilation at the very bottom of this article. My input thus far is, the Bresse turkey that is available in Singapore and Hong Kong, however I have also wrote about our experience in Australia last Christmas where I sourced a massive 11 kilo bird, from Deutchers Turkey Farm, in Dadswells Bridge, in the west of Victoria, Australia. 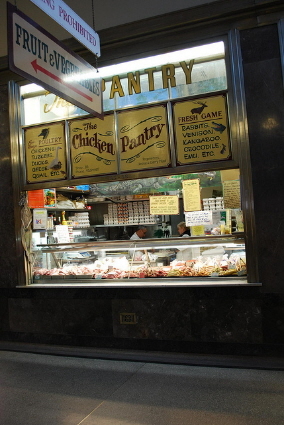 Actually, this turkey was sourced through The Chicken Pantry, at the Queen Victoria Market, a marvellous stall with everything from, well chicken, but also rabbit, hare, duck, goose, quail, pheasant, guinea fowl, venison, kangaroo and all of it free-range and organic. Apart from defrosting or a freshly chilled turkey, it is imperative to bring the bird up to room temperature before cooking, which will take a good 4 to 5 hours, depending on the size of the turkey. This generally means leaving it out of the fridge overnight, to which I would leave the air-conditioning on in the kitchen if you are in the tropics, unless you are happy to get up at three in the morning to take it out of the fridge! All this hard-yakka can of course be used to embellish you cooking talents and gargantuan efforts on the day and if I could suggest chaps, get in the kitchen as this is a good chance to earn some serious browning points. Personally I feel stuffing the turkey is essential, although there is a theory that this makes it more difficult to cook through. In twenty years of stuffing/cooking turkeys I have never encountered any such problem. More importantly, people have always commented on “how damn good” the stuffing is. I use sourdough bread (buzzed in the food processor), chopped shallot onions (sautéed soft in butter), truffle paste, chanterelle mushrooms, garlic, fresh sage and thyme and seasoning, all bound with egg. You can use fresh truffles if you like; although not an inexpensive exercise however I find black or white truffle pastes, sometimes combined with mushroom as a type of pâté, does a wonderful job. If you cannot source fresh chenterelles, dried ones are usually readily available, or you can use dried morels or assorted dried wild-mushrooms. Dried mushrooms need to be soaked in warm water for 15 minutes before adding to the stuffing mix. Preparation: Plan and start well ahead! Cooking time for a 4kgs bird will be over 3 half hours including resting of the meat. You might want to consider half cooking your roast vegetables the night before, then reheating and crisping in a hot oven whilst the turkey is resting. Either break up the sourdough bread to tiny pieces by hand or buzz in the food processor. Chop shallots finely and sauté very gently in butter, do not brown. Peel garlic, leave some whole and crush with the back of knife for placing in Turkey cavity. Chop remaining finely for stuffing. Rinse sage and pat dry. Chop half the sage finely retaining the rest whole for placing inside turkey cavity. Combine all the ingredients in a bowl, with several grinds from the pepper mill and two good pinches of Maldon sea salt. Bind with egg and ensuring truffle paste evenly distributed – best way is use your hands. Wipe turkey inside and out with kitchen paper, removing giblets and neck (these should be placed in the bottom of roasting dish to add flavour to your sauce), season with pepper and salt well, rubbing inside and out. Place bird in roasting dish. Rub the bird with cut lemon, again inside and out. Place whole garlic, thyme and sage sprigs in cavity. Stuff the bird but loosely, as the stuffing will swell. Use the crust from the sourdough bread to seal cavity, or any bread crust will do. You can use baking twin to tie legs together to help close the cavity. Rub the bird liberally with butter (you can use olive oil, although butter achieves a more flavoursome result), messy job but hands necessary. At the same time butter a double-sheet of foil, again very generous with the butter (on one side) and make sure the foil is large enough cover whole roasting dish. Pour a cup or two of water in roasting dish and then turn the bird upside down, breast down, making sure you are using a metal rack to lift of the bottom of the roasting dish so heat can circulate. Cover the bird and dish with the cooking foil, butter side down! General cooking time is 20 minutes per 500 g, approximately 2 hours 40 minutes for a 4 kgs bird. For the first 40 minutes cook at 200 degrees Celsius which seals in the flavours, then lower temperature to 160 degrees for remainder of cooking time. Here’s where you can be a little adventurous, time permitting. I much prefer to slow roast practically everything, and in my convection/fan oven this means turning the heat way down to less than 50 degrees on the dial, which translates to an oven temperature ideally around 90 to 100 degrees Celsius (remember, rely on a separate oven temperature gauge than the dial). I don’t really calculate the extra cooking time rather relying on my meat temperature gauge inserted in the thickest part of the breast and leg. Poultry is considered cooked at around 80 or 90 degrees Celsius, thus the logic of slow cooking and not cooking at higher temperature to avoid drying out the meat. The turkey needs to be basted every 20 minutes, using the juices and fat flowing from the bird as it cooks. I also maintain a small amount of water in the bottom of the roasting dish to keep the moisture level up. Half way through cooking, turn the bird over leaving breast side up for the remainder. The reason for placing the bird breast down initially is this allows the juices from the legs to run in to the breast meat, which tends to dry out easier. Remove the foil for the last 30 minutes of cooking so the bird browns nicely, at the same time not adding any more water to the pan so it reduces to a thicker stock, but watch that it doesn’t dry out completely and burn. Remove bird from the roasting dish and place on a large white platter to rest, covering loosely with cooking foil. 30 minutes is feasibly sufficient resting time however I like to give my turkey a good hour of resting. 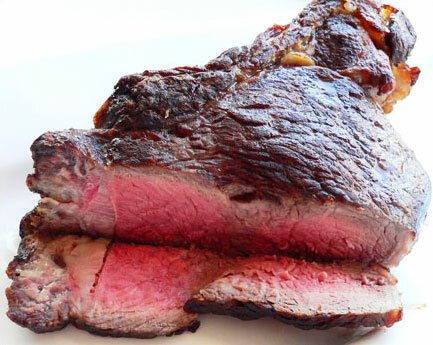 Also be sure to retain juices that will release from the resting for your sauce. Deglaze the roasting pan over stove element with a glass of chardonnay (also see wine pairing), adding a cup of organic chicken stock and a teaspoon of truffle oil, along with juices from resting. Reduce until sufficiently thickened or use a roux to thicken the sauce more to your own texture and taste. Meanwhile, place your par-cooked vegetables in the oven to finish roasting a crisp. My wife actually achieves a better result crisping par-boiled potatoes in a frying pan. Equally, a friend of mine has perfected his technique, preferring to half boil the potatoes first, then drain and rough up by shaking the pot vigorously. This sort of fluffs them up and when roasted in the oven at high heat become wonderfully crisp on the outside. Well your probably exhausted reading through this by now and have picked up the phone to order your pre-roasted turkey from your local providore, which is certainly a convenient option. However, I love the ooooh’s and aaaah’s and applause when I appear out of the kitchen with an impressive, golden brown turkey and plonk it in the middle of the table. Which reminds me, always carve at the table, otherwise you will lose the spectacle altogether. We always have a late lunch for this sort of generous meal which will easily run in to dinner, particularly if you plan to serve Christmas pudding. I like to buy a whole cooked ham for the kids (and some impatient adults) to eat earlier or later when the munchies return but you can’t be bothered cooking. Using your sourdough bread, toast thin slices and have a bowl of very finely chopped shallots and crème fraiche to add as a topping. If you are serving up Christmas pudding then make sure you have some reasonably mature vintage port around as it needs a powerful and spicy wine with plenty of butterscotch and cleansing acidity. WJ Graham’s is my personal favourite; see if you lay your hands on the 1980, a much underrated vintage and drinking superbly. If you’re having cheese before pudding, I highly recommend Vacherin Mont d’Or – an exquisite washed-rind cow’s milk cheese from the Jura Mountains, France, and only made in the winter months, perfectly timed for Xmas as it were. It is presented in a spruce-wood box that keeps the cheese from oozing all over the place. Indeed, you need to use a spoon to get it safely on to your toasted country bread. Make sure it is brought up to room temperature in advance. A big thank you to Karl Campbell, Manager Coq Au Vin (a division of Tegel), who candidly reports; there are only three turkey producers in New Zealand, Tegel Foods, Cantervalley and Crozier. Crozier are the only free range producers of turkey however after about 40 years in business they are selling up, to which Tegel are looking at taking over their business in the New Year. Interestingly, all commercial turkeys are grown in Canterbury, South Island and Cantervalley are apparently going free range next year, perhaps sensing the gap in the market. Whilst my research in to free-range poultry in New Zealand has just begun, it would appear that not is all as ‘green’ as we think in the land of sustainability and organics, given that out of the 280,000 approx turkeys raised annually, only 12,000 are free-range. There is something in the order of 100 million chickens raised in New Zealand annually, to which I would suggest a very small percent are free-range. There are no commercial Geese although Karl says he does buy the odd flock and have them processed from time to time and these are free range. Great Food Hall, Basement 2 Pacific Place, Queensway, Hong Kong, Tel: 2918 9986 www.greatfoodhall.com Pre-order, freshly chilled, free range Bresse turkey from France, cooking service available. Pre-order, freshly chilled, free range Bresse turkey from France, 6/7 kg bird at S$65 per kilo, cooking service available S$90 per kilo inclusive. My sources in Jakarta tell me that only frozen turkeys from the USA are available in Indonesia. If anyone has more Intel, would be glad to hear from you. Meanwhile, these are the popular outlets for the frozen birds. Kem Chicks: Jl. Kemang Raya No. 3-5, Kemang, Jakarta – well-known high-end supermarket servicing the expat community around Kemang. 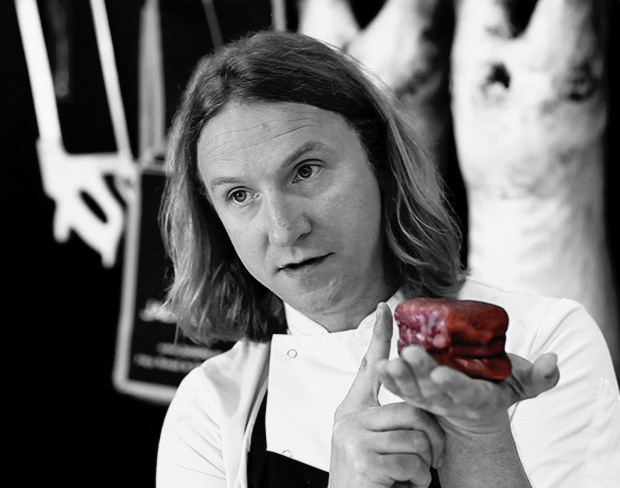 A big thank you to Nick Lander, the most respected of restaurant critiques and food writers on this planet, www.nicklander.com who reports “This is the company in Scotland I use for all our meat, turkey to game. Very, very good”. All I can say it, recommendations do not come any higher than this. The Ginger Pig: One of my favourite shops at the Borough market and the Ginger Pig Meat Book is absolutely highly recommended and the seasonal menus brilliant. They sell free range, broad breasted, bronzed turkey @ £10.80 per kg, amongst other high-quality meats. 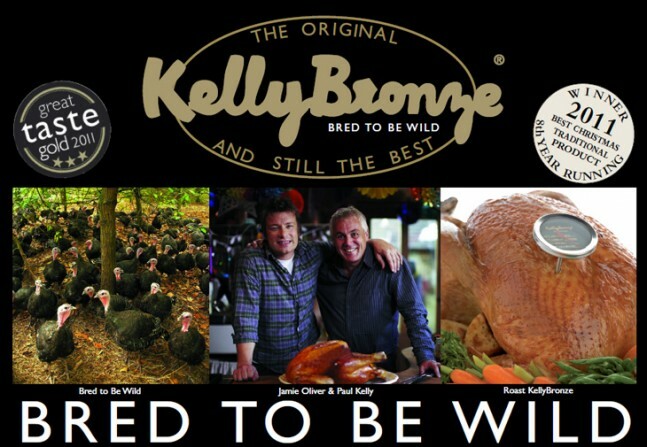 For the 4th year in a row Jack O’Shea will be stocking the Award Winning Kelly Bronze turkeys from Essex, winner of the Best Poultry producer and Great Taste Award. 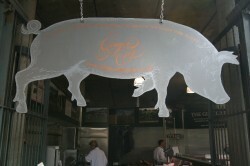 As seen on The Great British Food Revival programme last night on BBC 2. 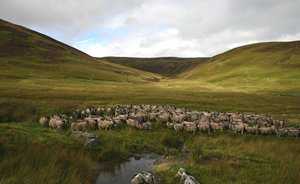 Sillfield Farm – Peter Gott: Also comes very highly recommended by our UK Wandering Palate Scout, who goes into raptures of culinary bliss when talking about them, Sillfield Farm is home to Wild Boar, Rare Breed Pigs, Herdwick sheep and rare breed types of poultry, all of which are Free Range. 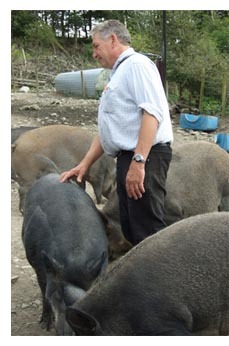 Owners Peter and Christine Gott have been running the farm for twenty years, Peter very well respected leader in Artisan food production and has appeared in numerous television programmes passing on to people his methods. I have yet to confirm they have turkeys but our man says their free range chickens are big enough and as tasty to do the job!